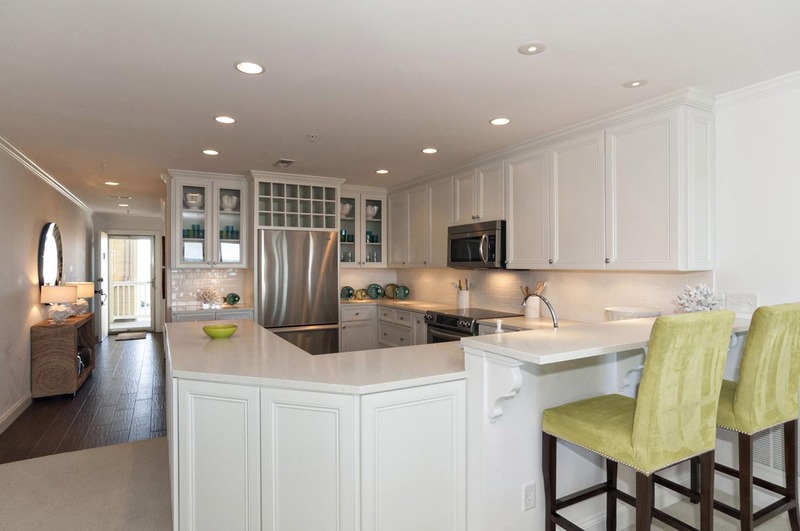 High-end luxury abounds in this completely remodeled ocean-front standout. 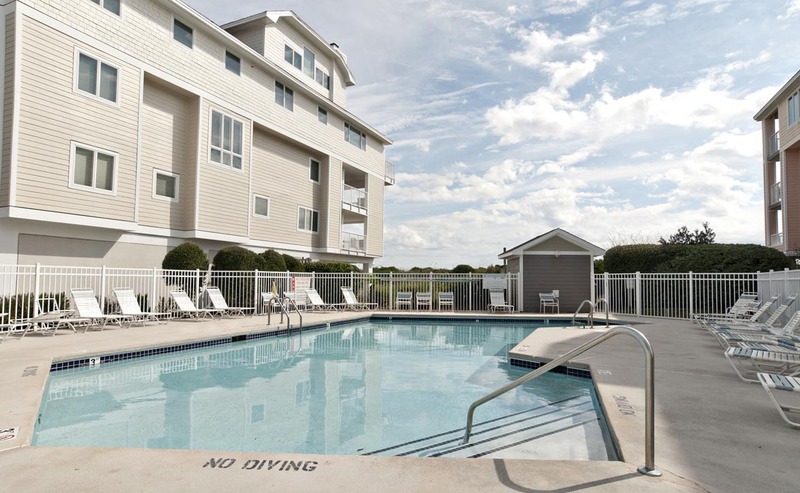 Welcome to what many describe as the most upscale unit at Wrightsville Dunes. 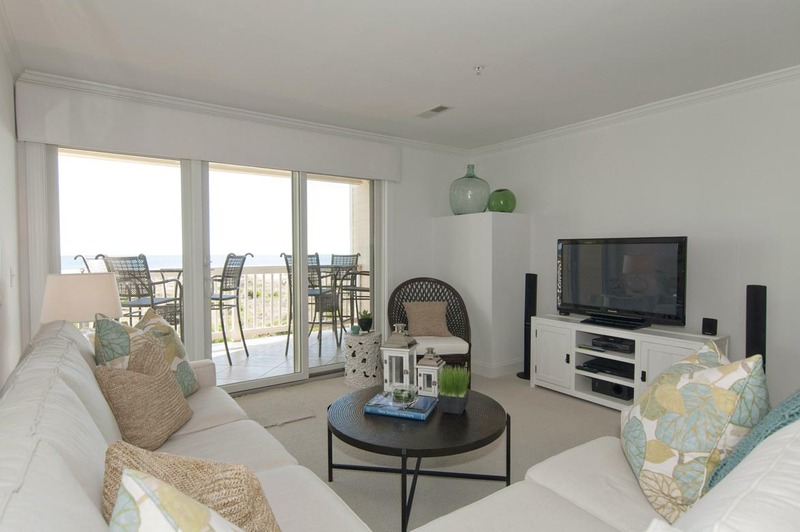 Completely remodeled inside and newly refurbished on the outside, this 3/2 condo features everything you want for a totally first-rate stay at fantastic Wrightsville Beach. Beachfront with an elongated deck, this 2nd floor property is as beautiful and pristine as the coast itself. 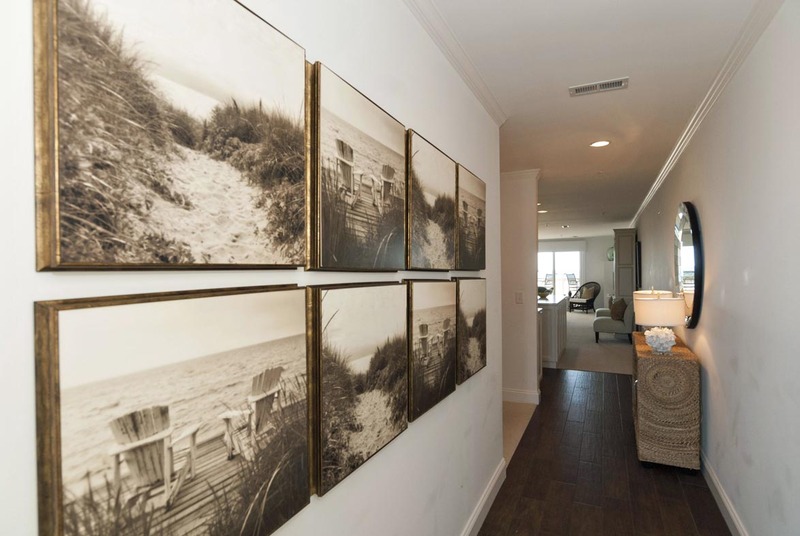 Inside, high-end upgrades include marble baths, Kohler sinks and faucets, stainless Kitchen-Aid appliances, custom cabinetry, three flat-screen TVs and designer decor & appointments - making this one rental you'll find hard to leave each beach day! 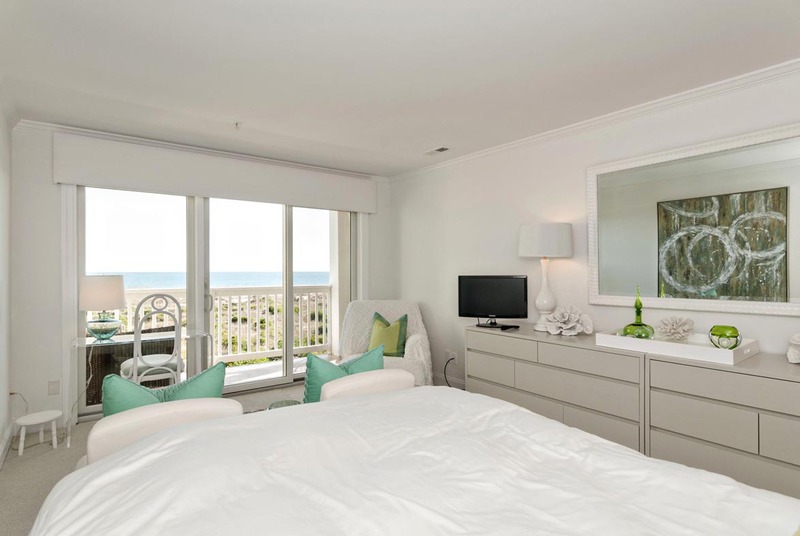 The master bedroom includes its own sitting area with chaise longue, acrylic desk, and seating; ensuite marble bath (featuring double vanity sinks and expanded, two-person shower); and access to an exceptional beachfront deck. 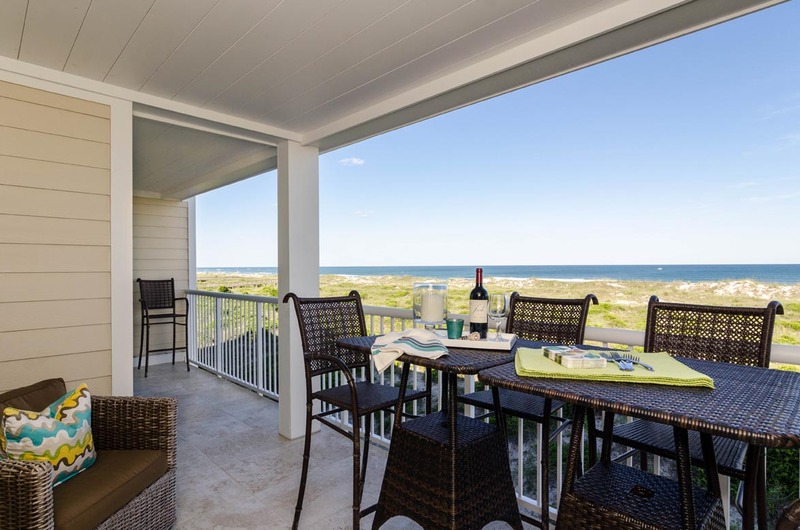 Larger than most at this complex, this deck provides two access points smartly appointed with “director” level iron patio chairs and tables for better gazing, full panoramic views and best of privacy from beach walkways due to its center-point location within the building. 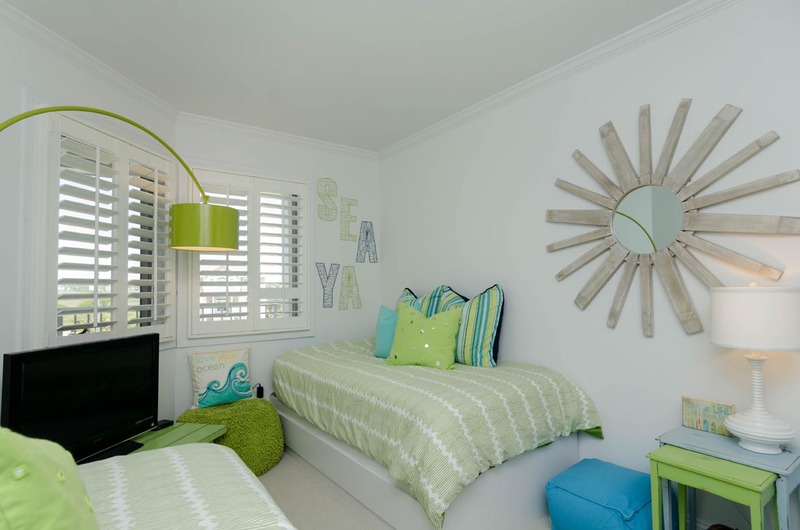 On the condo's waterway side, a lovely, spacious guest room sits next to a fun kids' sleeping den. The den features two contemporary twin platform beds with storage (and deluxe mattresses), its own flat-screen TV and lots of classic board games. A second marble bath is adjacent to these rooms, in addition to an expanded laundry area outfitted with front-loading LG washer and dryer. The moment you enter, you'll know you made the right choice as everything in this unit is professionally updated and decorated with no detail spared: from the kitchenware to the mattresses to the thoughtful accents throughout. 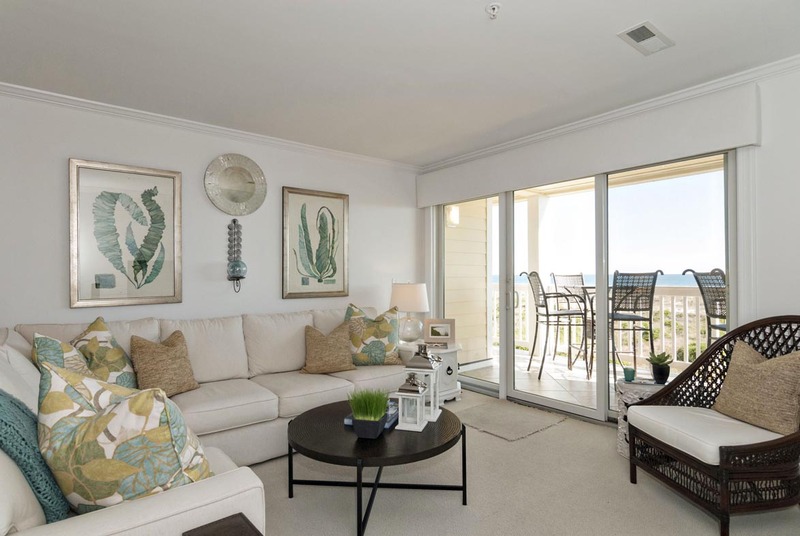 This is truly a luxury condo unmatched in Wrightsville, and remains a requested choice for star talent filming in the area. Looking for the ultimate vacation experience? This unique rental is for you! NEW FOR 2019: Fresh updates for your stay in 2019: New carpeting throughout! New painting! And fussy owner-supplied linens (not from a linen company) of the finest Egyptian/cotton quality includes all you’ll need for the bath and bed and even better – this price is included in your rental cost! The condo was beautifully renovated and furnished. The complaint from my family was the lack of a Ming bed in master bedroom and futons not real twin beds in guest room. I would not rent this condo again because of this. 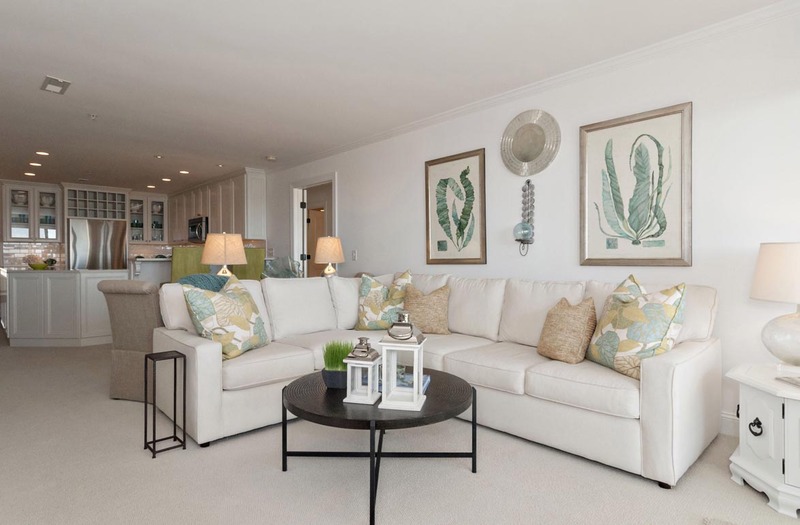 Sue Ellen, We are pleased to hear that your family enjoyed this beautifully decorated property; the owner takes great pride in maintaining and furnishing this unit. 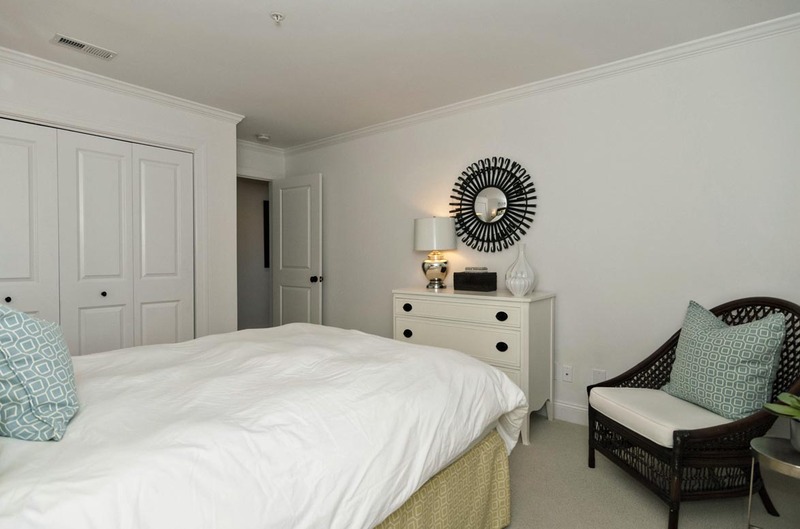 We apologize you were unaware that the master bedroom is furnished with a queen bed, however, the bed configuration is advertised as such on our website as well as our rental agreement. While the bedding may not have been to your liking we can assure you the twin beds are in fact mattresses, not futons. We appreciate your feedback and hope you will consider Bryant Real Estate when planning your next trip to the beach! The condo was lovely and the view was excellent. My only complaint (and this is unavoidable) was that there was someone on the third floor above us who must have weighed 300 pounds and smoked. His tread was so heavy that it shocks the glasses in the cupboard. The guy definitely needs to eat a salad. We still had a great time. Our party consisted of four adults and two teenage girls who loved their room "cave" complete with TV. We all enjoyed the proximity to the beach and were lucky to have several "beach weather" days. We were able to cook Thanksgiving dinner in the well-appointed kitchen and enjoy it with the backdrop of the ocean. Thank you so much for providing us with such a great place to stay. My husband and I returned to this beautiful home on Wrightsville Beach. The location, floor plan and style of this apartment is just perfect. We had a lovely time. We had a great week! 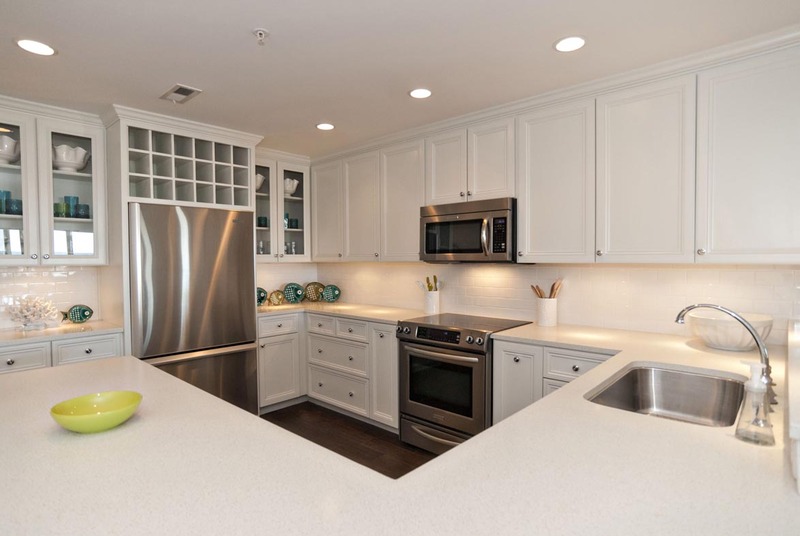 The unit was clean with beautiful furnishings & a well-stocked kitchen. We were disappointed with the TVs in the bedrooms, but that didn't keep us from having a terrific time. As always, the Bryant Realty staff was exceptional. We'll be back! This was our second year in a row to stay at the Thomas & we had a great time again! We like the updated kitchen & bathrooms, & we especially like the full-size washer & dryer. Bryant Realty was, as always, easy to work with. We’ve already reserved the Thomas for 2019! Great property, great mgmt team, terrific experience! 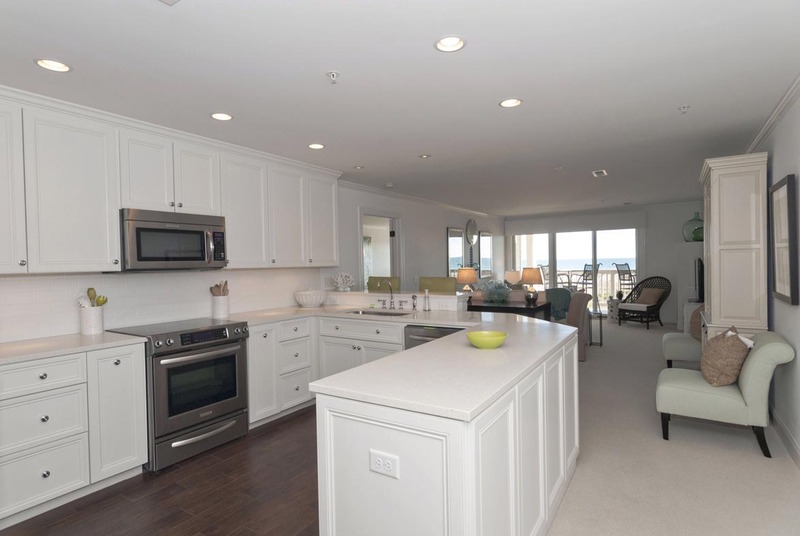 This condo was completely updated; professionally decorared and a fantastic view of the dunes and ocean. The owner left many notes on how to operate all electronic appliances, TV, etc. Our family could not ask for a better place to stay. Conveniently located in the northern end; quiet and peaceful. Easy walk to Mercer Pier and southend shopping. 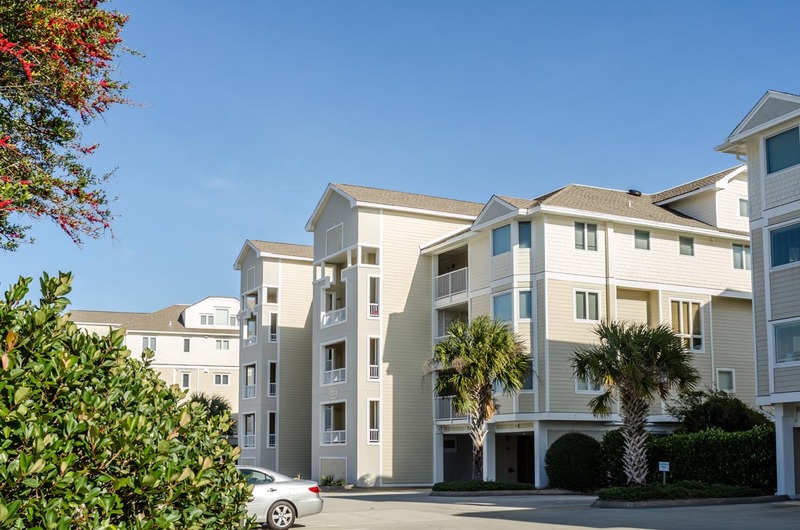 Easy access to restaurants on the intracoastal. This is the place to stay! Bryant Real Estate gang was extremely helpful and took care of shipping a personal item we left behind!! This is a beautiful apartment, very comfortable furnishings and very well equipped kitchen. Bryant Staff are very helpful. I would suggest a king sized bed in the master bedroom with a better mattress than currently is in the room. Excellent condo in fantastic condition; only issues were the beds in the "kids" room as the beds are not very functional with five adults and one child. It would be better if those beds were just twin beds. Overall fantastic place!!! Excellent experience, except we requested that beds be made as we were arriving late; unfortunately, the beds had not been made. P.S. Would love to know if any of these condos are ever offered for sale.